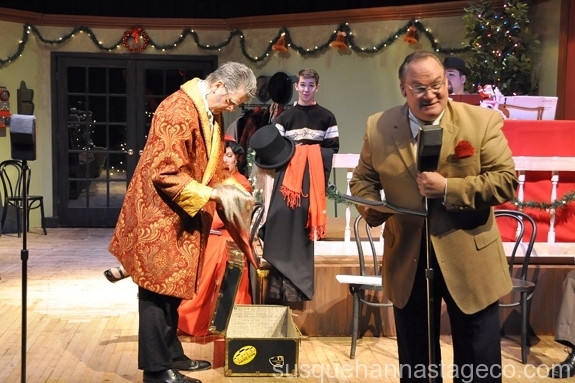 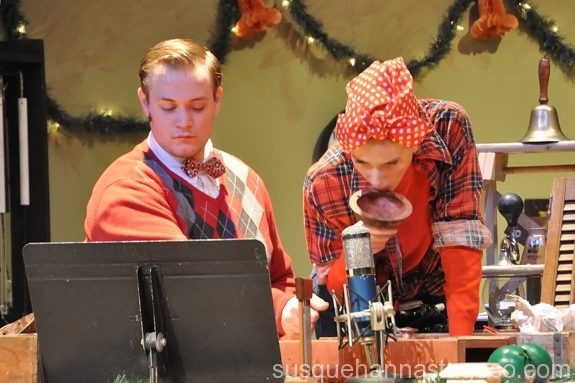 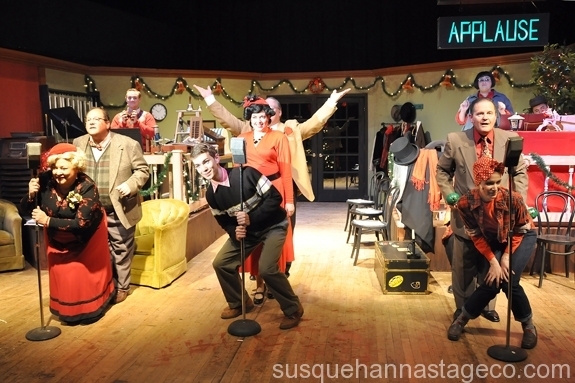 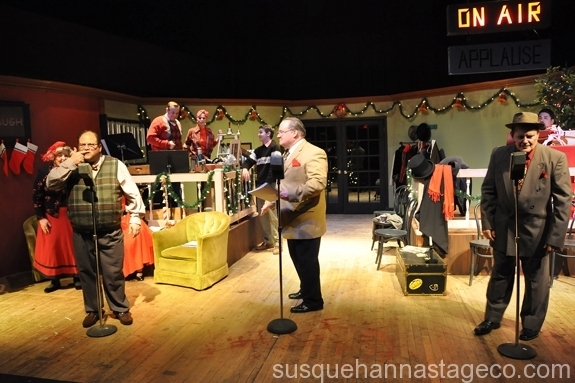 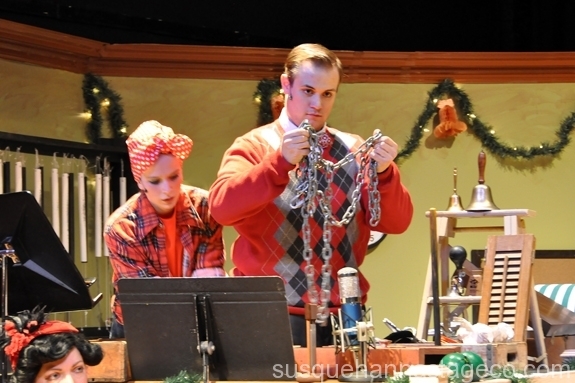 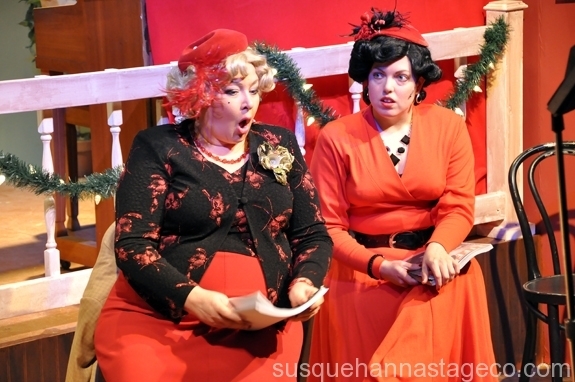 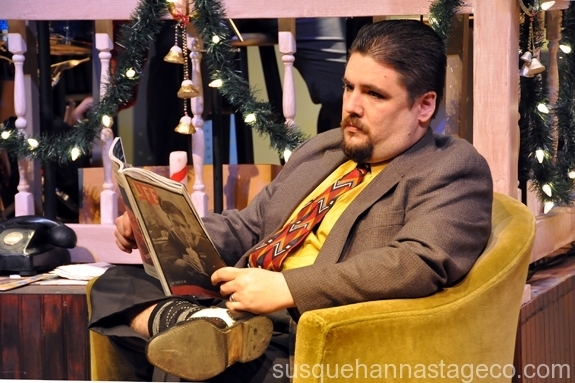 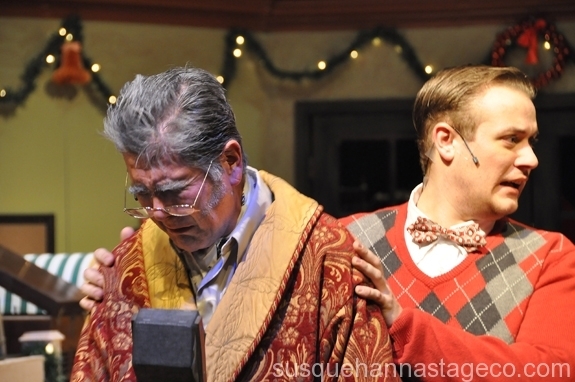 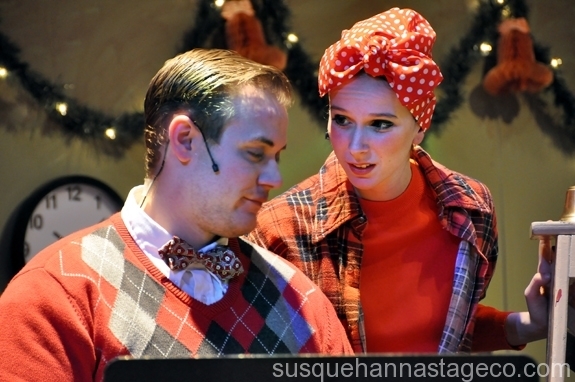 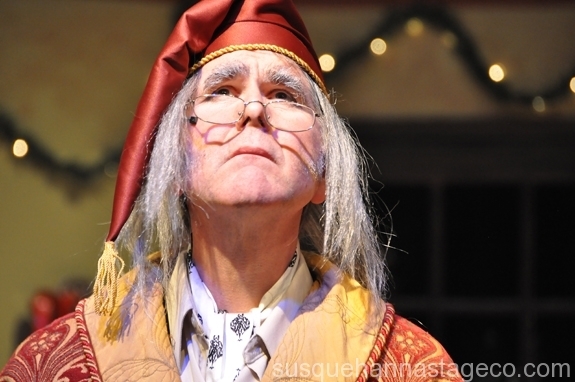 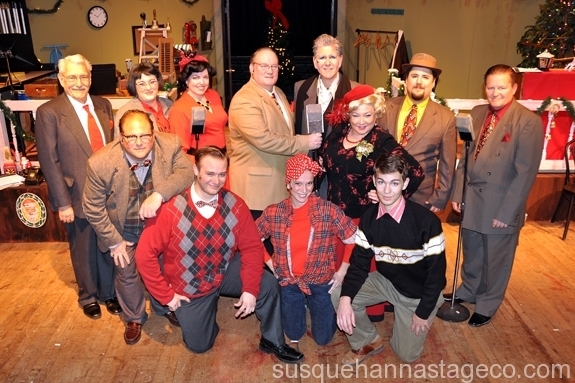 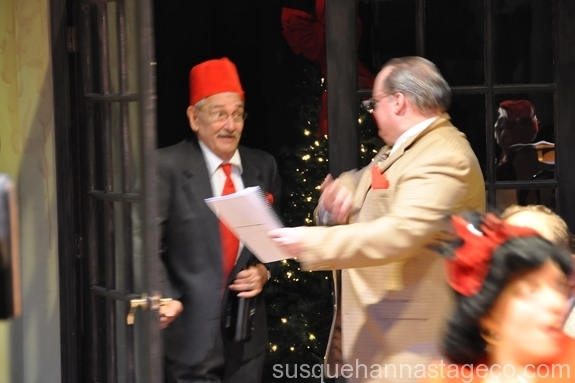 A 1940's Radio Christmas Carol – Susquehanna Stage Co.
Friday, December 5 -- 8:00 p.m.
Saturday, December 6 -- 8:00 p.m.
Sunday, December 7 -- 7:00 p.m.
Thursday, December 11 -- 8:00 p.m.
Friday, December 12 -- 8:00 p.m.
Saturday, Decembetr 13 -- 8:00 p.m.
Sunday, December 14 -- 2:00 p.m. 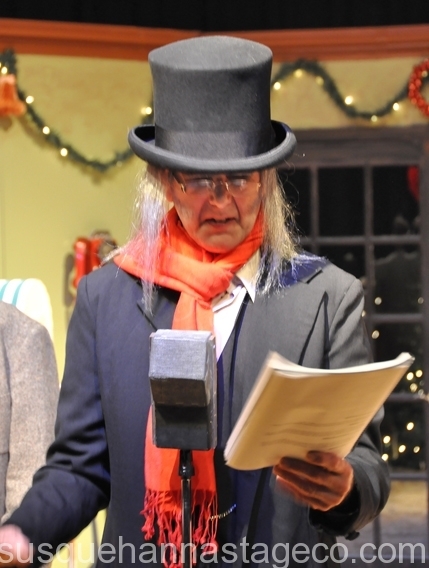 It's Christmas Eve, 1943, and the Feddington Players are set to present their contemporary "take" on Dickens's A Christmas Carol. 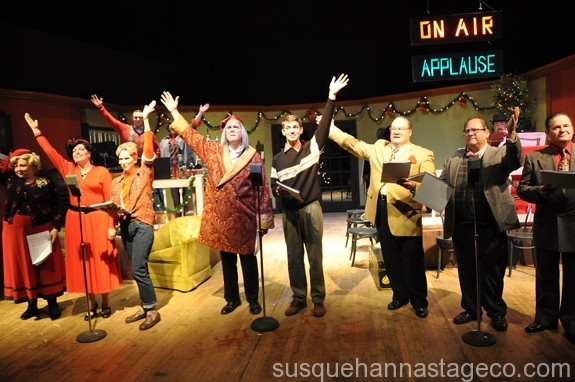 Whether it's the noisy plumbing, missed cues, electrical blackouts, or the over-the-top theatrics of veteran actor, but radio novice, William St. Claire, this radio show is an entertaining excursion into the mayhem and madness of a live radio show. 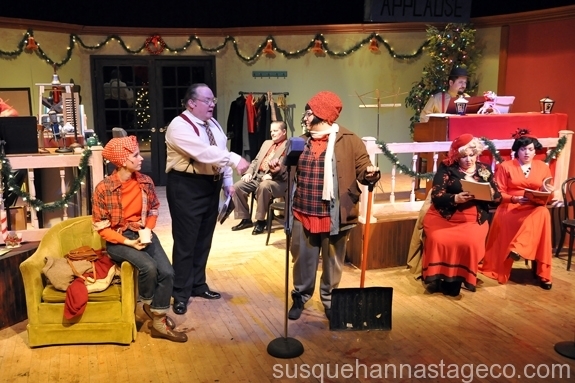 St. Claire's escalating foibles and acting missteps propel the show to a simultaneously comedic and heart-wrenching dramatic climax: St. Claire has an on-air breakdown and begins to connect his own life with that of the classic Dickens tale. 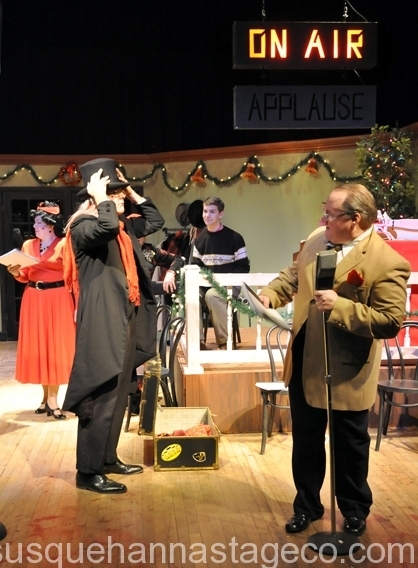 In order to "save the show," the company improvises an ending to Dickens' classic, featuring a hardboiled detective, a femme fatale, and an absurd rescue of Tiny Tim from the clutches of a Hitler-esque villain named Rudolf! 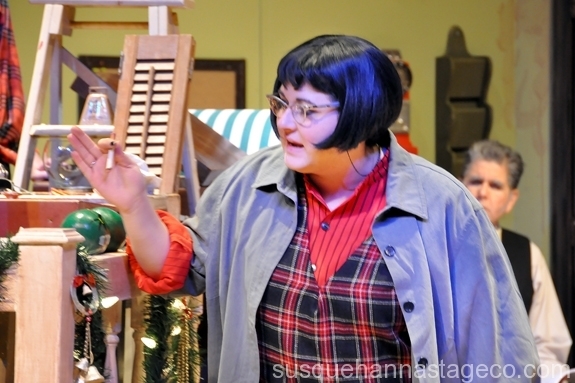 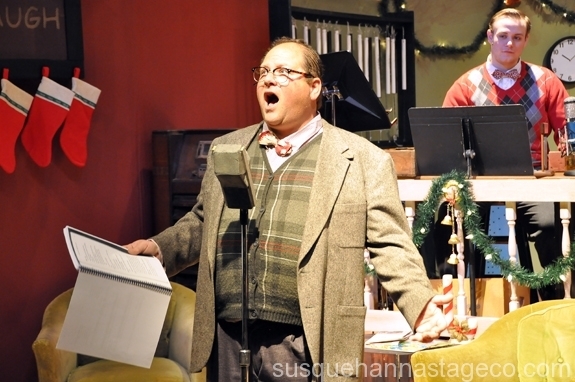 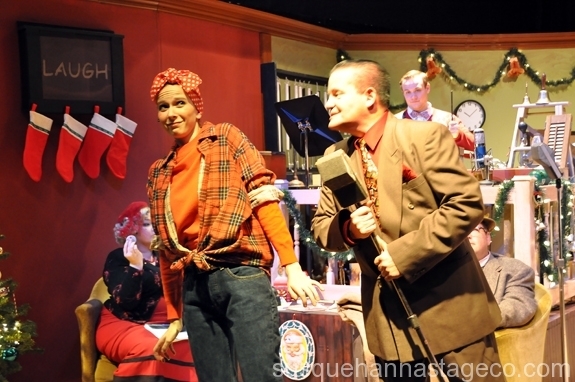 High School Musical lyricist Faye Greenberg and composer David Wohl have written four delightful period songs for the Feddington Players, and swing arrangements of many Christmas standards. 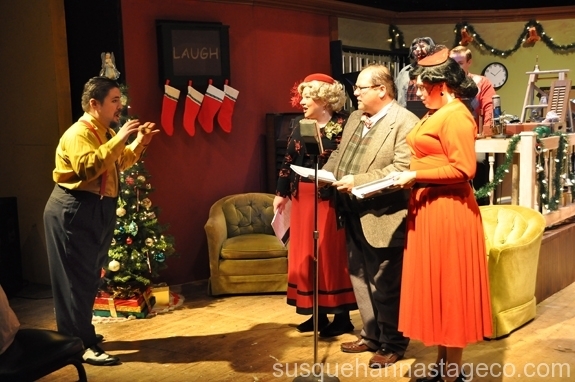 Seamlessly combining drama and comedy, heartbreak and hope, A 1940's Radio Christmas Carol will sing its way into your heart.